In Wood news: Ontario’s mass timber program seeks to allow wood frame up to 14 storeys, supported by new monies for timber research and education. Philadelphia may get its first timber skyscraper, and the Softwood Lumber Board reports that “the future of the industry is in offsite construction”. Finally, EPA’s declaration that wood is carbon neutral is “a lot more complicated than that“; the US Forest Service has a new website for “wildfire updates“; and workplace safety is top of mind in more than 100 countries as this Saturday is officially a “National Day of Mourning“. OTTAWA – One year after the United States imposed stiff import duties on Canadian softwood, strong demand for wood and record market prices mean American consumers and not Canadian producers are feeling the pinch. Unlike the last softwood dispute with the U.S., which led to the loss of 20,000 forestry jobs and saw an estimated 400 sawmills close in Canada, this time the industry in Canada is holding up just fine so far. …“We haven’t seen any (mill) closures linked to the trade dispute to this point,” said Derek Nighbor, president of the Forest Products Association of Canada. …Nighbor said it’s true the negotiations to settle the dispute have gone quiet, overshadowed by the bigger NAFTA negotiations. But he said even though companies are doing well now, that is predicated on U.S. demand staying high. In the long-term, companies still want a settlement before things start to go south. Our lumber segment generated operating earnings of $189 million (Q4-17 – $232 million) and Adjusted EBITDA of $282 million (Q4-17 – $258 million). This quarter’s results were unfavorably impacted by severe winter weather, significant transportation challenges and a full quarter of export duties. …Our panels segment generated operating earnings in the quarter of $25 million (Q4-17 – $20 million) and Adjusted EBITDA of $28 million (Q4-17 – $24 million). The plywood market was strong throughout the quarter with pricing well ahead of 2017 levels. Plywood shipments were held back by transportation challenges as well. Our pulp & paper segment generated operating earnings of $58 million (Q4-17 – $48 million) and Adjusted EBITDA of $70 million (Q4-17 – $60 million). The major factors contributing to the increase in operating earnings were higher Canadian dollar pulp prices and an increase in NBSK shipments offset by lower BCTMP shipments, again due to transportation headwinds. The annual WOOD Markets’ “Billion Board Foot Club” list of top global lumber companies showed further gains in production by 10 of the 13 companies making the list in 2017 (as compared to 2016 output). Three companies recorded output declines despite robust U.S. – as well as export – market demand (this was due mainly to timber supply issues in the B.C. Interior, the U.S. West and Chile). The largest North American firms increased their output, mainly because of mill capex programs or shifting at existing operations. There was only one major sawmill company acquisition in 2017: West Fraser’s purchase of Gilman. The average rise in production was only 2.3% for the 13 companies on the list — a slower pace than in the last three years. The list is based on companies with reported softwood lumber production exceeding one billion board feet (bf) on a nominal basis (or, for mills outside North America, more than ~2.3 million m3). GERMANY – Production of softwood lumber in Germany increased by 8.2% to 4.393m m³ vis à vis the comparative quarter of the preceding year in the fourth quarter of 2017. According to preliminary production figures… 3.381m m³ of this volume was spruce lumber, which corresponds to an increase of 5.5%. Production of pine lumber (+20.6% to 592,013m³) and other softwood lumber (+15.6% to 420,101m³) increased at an above-average rate. A total sum of €2.645bn ensued from the sale of 14.363m m³ softwood lumber. Ontario is putting forward $7.8 million to back its previously announced Mass Timber Program, which will support the research, education and construction of tall wood buildings. The province announced the funding in an April 25 news release, in which it said the use of timber in tall wood buildings could help address climate change by “storing carbon in buildings and by avoiding greenhouse gas pollution associated with other carbon-intensive materials.” The program is part of the Climate Change Action Plan and is funded by proceeds from the province’s carbon market. …A Private Member’s Bill tabled by Nipissing MPP Vic Fedeli that would extend wood frame construction to buildings up to 14 storeys is slated for second reading in the provincial legislature on April 26. The Ontario Forestry Revitalization Act would amend the Ontario Building Code to allow for wood frame construction to be used in mid-rise buildings up to 14 stories. In 2015, Ontario made changes to its Building Code related to the use of wood-frame construction in mid-rise construction of up to six stories. Meanwhile, the government is touting what it calls the new Mass Timber Program as part of Ontario’s Climate Change Action Plan. The use of wood in infrastructure can help address climate change by storing carbon in buildings and by avoiding greenhouse gas pollution associated with other carbon-intensive materials. Construction’s productivity gap and labor shortage may have a solution—but it won’t be found on the jobsite. The future of the industry is in offsite construction, a technology-driven solution in which wood has a big role to play. 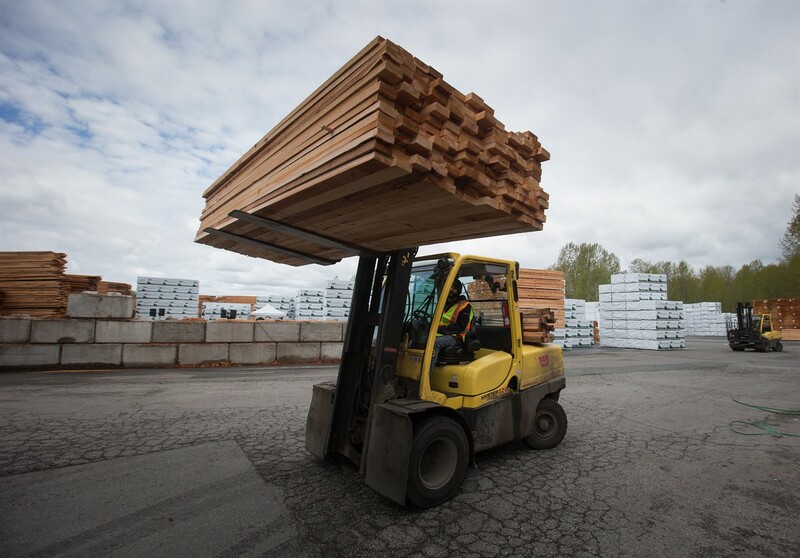 The Softwood Lumber Board (SLB) is actively researching and testing mass timber to create performance-based paths to meeting current building codes. A 2017 report from the consulting firm McKinsey puts the market opportunity in the U.S. at $500 billion if the construction industry can shift to more efficient production methods, such as offsite construction. In offsite construction, building components are designed, fabricated and assembled in a controlled setting before being shipped to the jobsite for rapid installation. Projects best suited for offsite construction demand a high degree of repetition, such as multifamily, student housing and hospitality. Since the turn of the century, Philadelphia’s skyline transformation has been led by the construction of not one, but two Comcast towers that now preside over the crowd in Center City. …But with increasing urgency to adopt more sustainable approaches to urban development, one Washington, D.C. architecture firm wants Philly to become a trailblazer in the future of high-rise construction. Specifically, it wants Comcast to build its rumored third tower out of wood — mass timber, to be exact. 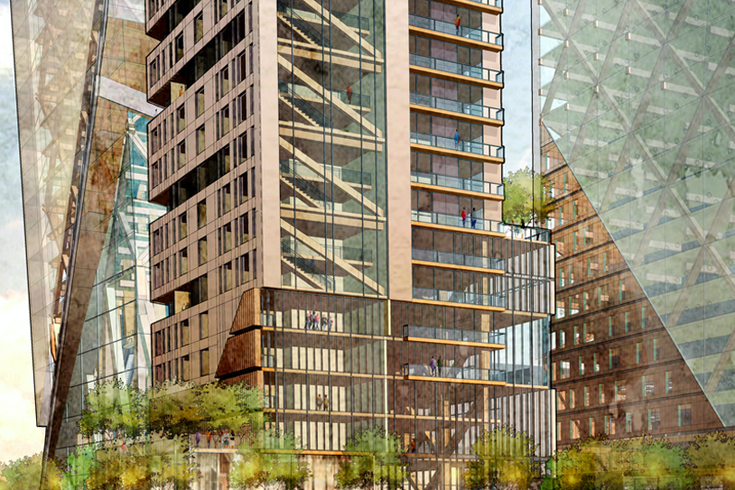 McTaggart and his colleagues recently submitted their dazzling Timber Towers project to the Skyhive Skyscrapers Challenge, a conceptual design competition that encourages entrants to showcase their creativity within the realm of what can actually be achieved. …”It sounds counterintuitive… but wood is the only construction material on earth that’s truly renewable,” McTaggart said. PORTLAND — Organizers of the Maine Wood and Sustainability conference see it as more than just a meeting of industry professionals, but a watershed. “We’re seeing it as an opportunity to connect the natural resources and forest products industry to the design community,” said Naomi Beal, executive director of Passivhaus Maine… Beal said much of the design community, based in Portland, has been looking at sustainable and energy efficient construction for years. Timber production firms in other parts of the state are also focusing more environment and sustainability. …The keynote speaker at the conference is Tom Chung of Leers Weinzapfel. The Boston firm designed the Design Building at the University of Massachusetts, the largest building in the eastern U.S. to use cross laminated timber construction. …The conference topics center around mass timber and other engineered timbers; design and construction, including pre-fab and airtight construction, and forestry. A draft plan for the remediation of the contaminated Union Bay coal hills should be submitted to the province this June, and the information could be public by the fall, according to a representative from West Fraser Mills. 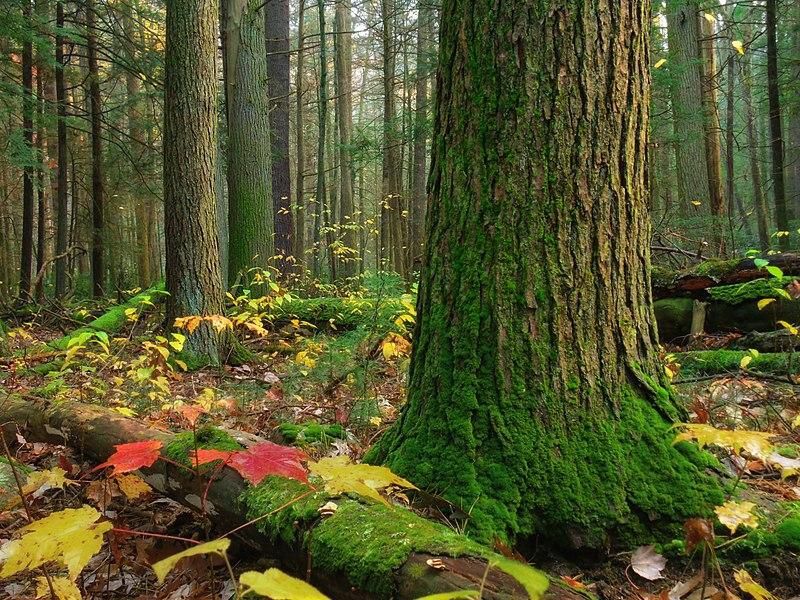 …Duncan Williams, the executive director of crown land opportunities for the Ministry of Forests… said his department will review West Fraser’s draft plan when it is submitted later this spring. If happy with it, he said they will send the plan to the Ministry of Environment — the regulator — for further scrutiny. “It’s not until [Ministry of Environment] signs off on it and improves on it that we’ll know what the final design is,” he said. …Pending the regulator’s approval, the forestry company plans to supply an engineered membrane that will cover the entire contaminated site. NEW BRUNSWICK — A Sussex-based wood marketing board will square off today against forestry giant J.D. Irving Ltd. before the New Brunswick Court of Appeal. SNB is hoping the court will overturn a December decision by the New Brunswick Forest Products Commission that found in favour of JDI and its practice of sidestepping the board in wood deals. The commission struck down an attempt by the marketing board to regain control over how wood from private woodlots is bought and sold across much of the south of the province. …The board system was established by provincial legislation in the early 1980s to give woodlot owner groups access to markets and the ability to negotiate prices with forestry companies that also have access to Crown forests. MOSCOW — About 1.7 million acres of forest land in Idaho is family-owned, representing about 36,000 landowners and 56 percent of all privately-owned forest land in the state. As much as 560,000 acres, or 33 percent of family owned forests in Idaho, are likely to have new owners within five years, according to a new survey released this month. The Policy Analysis Group (PAG) in the University of Idaho’s College of Natural Resources conducted an extensive survey in 2016 of Idaho’s family forest landowners — forests privately owned by families, individuals, trusts, estates and family partnerships. “The objective of the study was to better understand Idaho family forest owners’ management decisions and preferences, and to compare the management activities of landowners who participated in forestry assistance programs with those who haven’t,” PAG principal researcher Philip Cook said. …working at the collegiate level at an institution highly-regarded for its forestry program, affords the opportunity to both educate students about our business and to hear first-hand what the next generation … believe to be true about the forest products industry. …Mika Donahue is an undergraduate at Oregon State, studying renewable materials. Mika grew up in Vancouver, Wa., at her family’s business, RLD Company, a provider of independent timber and glulam fabrication. …it wasn’t growing up in the lumber yard that solidified a future in forest products for Mika. It was a TED Talk. “…it wasn’t until I watched a TED Talk from Vancouver-based architect Michael Green regarding the environmental necessity of mass timber building that I really found my spark. …We’re finding it vital to begin educating children… At OSU, we host an interactive program on wood as a resource, to educate third and fourth graders about …wood and wood products. Citing the major public safety threats posed by wildfires and post-fire flooding, Coconino County has hired its first forest restoration director. The newly created position will focus largely on helping accelerate large-scale forest thinning projects deemed crucial to preventing catastrophic wildfires in the region. The largest of those projects is the 2.4 million-acre Four Forest Restoration Initiative, or 4FRI, that has after more than six years failed to get even close to its goal of thinning 50,000 acres per year. The new director position represents an attempt by Coconino County to support the development of a local forest products industry, which is crucial to ramping up tree thinning, County Supervisor Art Babbott said. 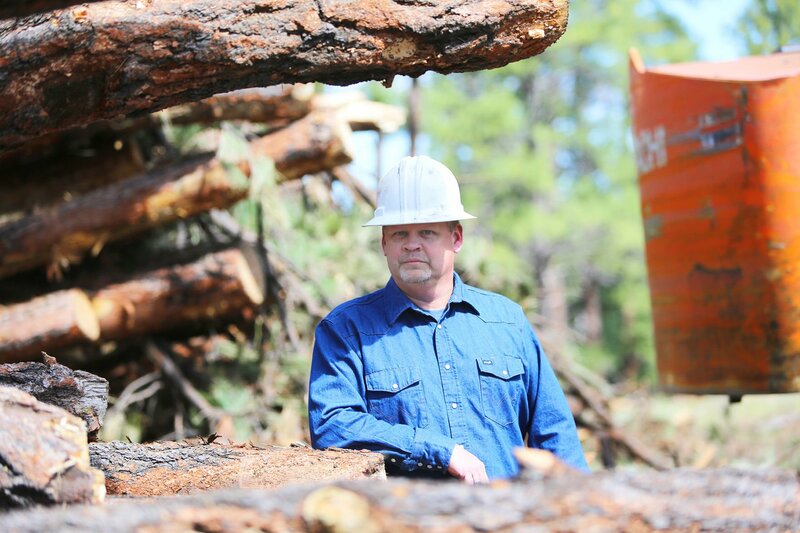 …Jay Smith, the man chosen for the job, comes to the county with more than two decades of experience in the private logging industry. Sen. Maria Cantwell questioned the acting head of the U.S. Forest Service, Vicki Christiansen, this week. Among the senator’s top concerns: There may not be air support for fires in the West this year. Cantwell, D-Wash., said during a meeting of the Senate Energy and Natural Resources Committee that air tankers can catch wildfires before they grow into expensive catastrophes. …“With the number of fire starts, I understand the Forest Service trying to be economical,” Cantwell said. “But how does it add up if those fire starts turn into more explosive fires?” Christiansen countered that her agency can deploy the planes effectively. Much of the Intermountain Region went into hibernation mode during the winter months, but some people continued to clean up hazardous fuels using prescribed burns and mechanical fuel treatments as conditions allowed, removing excess fuels from the ecosystem. …It is once again, time to start thinking about what impacts the new growth in the forest, combined with excess old growth, will have during the coming summer months. …In an effort to better inform the public about current fires… a new modernized, mobile-enabled InciWeb public website has been created. …This is the first major redesign for the website since originally developed. Called InciWeb, the website is available online at https://inciweb.nwcg.gov/. 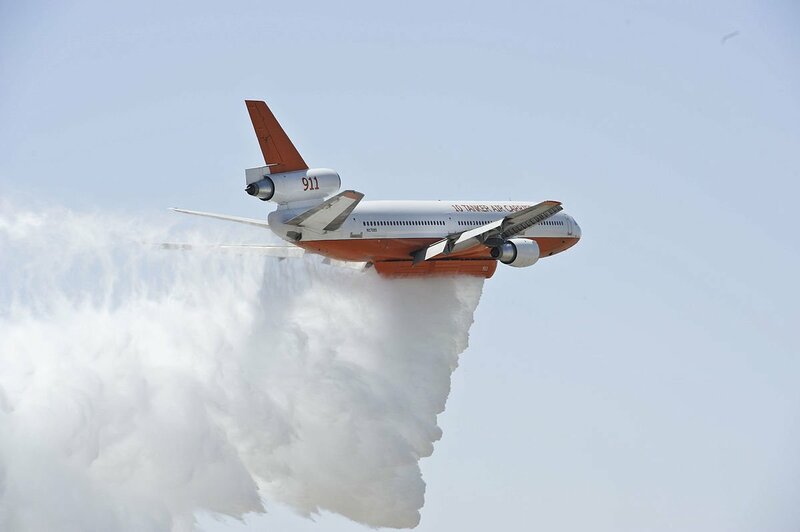 SPOKANE – Spokane reports that U.S. Sen. Maria Cantwell of Washington state is perplexed as to why the Forest Service has decided to eliminate its contracts for all its water scoopers and change the way its air tankers are contracted ahead of the 2018 fire season this week. 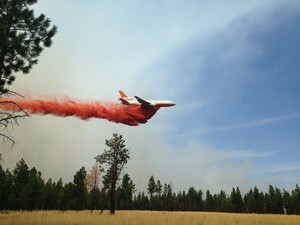 Under the new policy, the Forest Service will change its contracts from exclusive-use to a contract referred to as “call-when-needed.” Under the new contract, an air tanker has 48 hours to respond after it’s ordered, rather than the 15-minute response time under exclusive use contracts. The new policy would also force air tankers and water scoopers to operate after the first 24 hours of a fire starting. 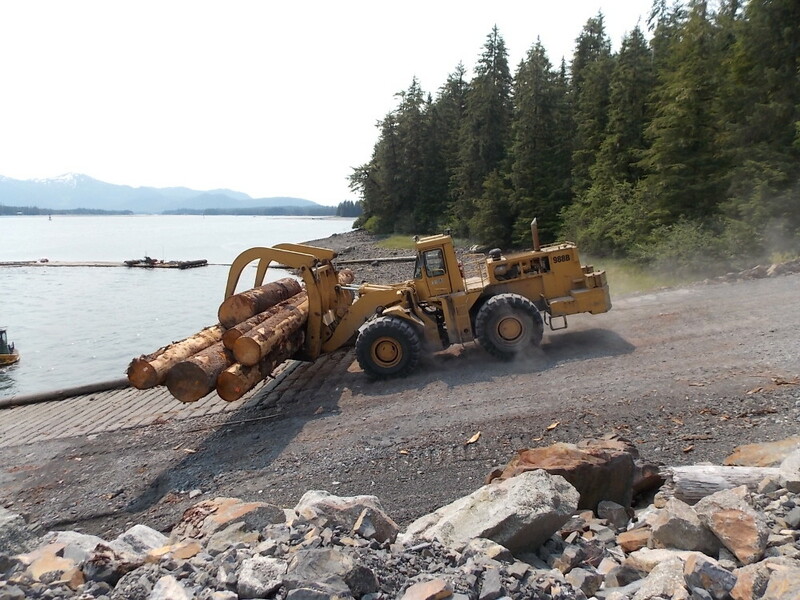 An environmental advocacy organization says the U.S. Forest Service doesn’t appear to be taking steps to correct costly problems in Tongass timber contracts. The federal agency has released thousands of pages in response to its Freedom of Information Act lawsuits, Public Employees for Environmental Responsibility says. But those documents don’t describe any significant changes. PEER published a review last year of two Tongass timber sales done in 2016 by Washington office staff of the Forest Service. The document listed problems with appraisal and oversight of the Big Thorne timber sale on Prince of Wales Island and the Tonka sale on Kupreanof Island near Petersburg. PEER asked for other agency records and then filed lawsuits when it said the federal agency did not respond to those requests. Souped-up saws, rollin’ logs and axes being tossed. 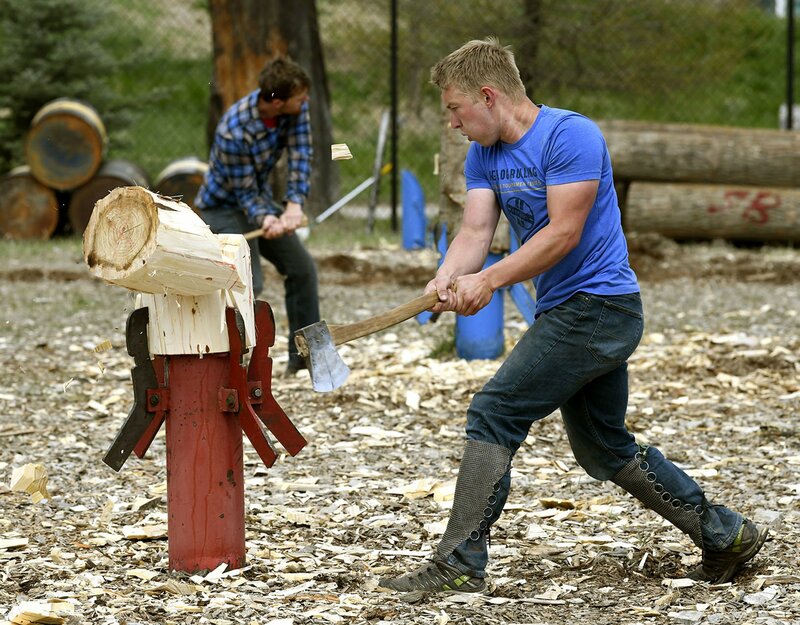 The 22nd annual Pro-Am Logging Sports Competition and Forestry Days is coming to Fort Missoula this Friday and Saturday. The family-friendly event brings professional and amateur logging sports competitors to town from all over the Northwest and Canada. It’s hosted by the Historical Museum at Fort Missoula, the Society of American Foresters in conjunction with the University of Montana Woodsman team. Society of American Foresters historian and event coordinator Scott Kuehn says it’s the only pro-am logging show in the country. Forest industry associations are supporting penalties imposed in the District Court against Bay of Plenty forest owner Whitikau Holdings and two harvesting contractors. The companies pleaded guilty to charges laid under the Resource Management Act for damaging two stream beds near Opotiki in a logging operation which began in 2015. Whitikau Holdings was fined NZ$57,000 and the logging companies NZ$4000 and NZ$3000 respectively. Forest Owners Association President Peter Weir is pointing to the judge’s comments that the action of the forest owner was ‘extremely reckless and bordered on deliberate’. “From the facts as I understand them, this is not a case where a storm overwhelmed a logging site, but where the offenders just didn’t care about the clear rules on how to avoid damaging river courses, ignored abatement notices and produced a consequence which could take a decade to come right. They got what they deserved. They were probably lucky to avoid jail,” he said. High-intensity storms cause billions of pounds of damage every year, and climate change is set to make this worse in future. 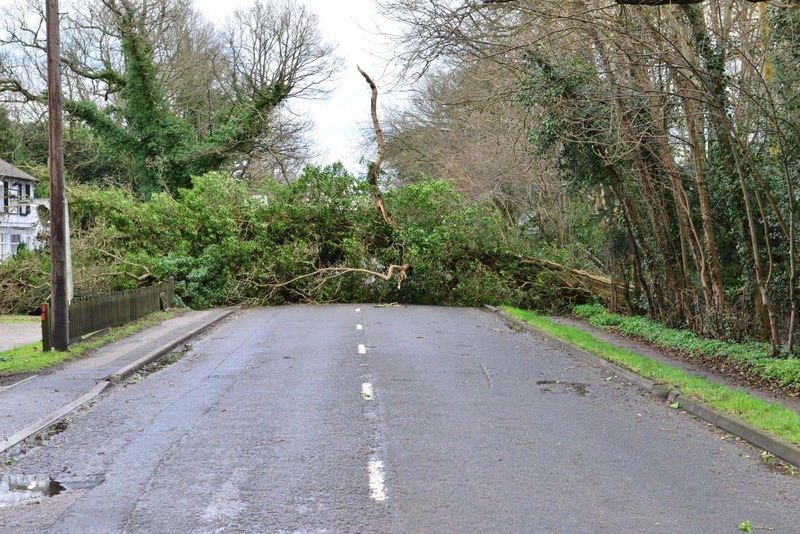 We already appear to be seeing more frequent and intense windstorms. …Every year across Europe, the number of trees that commercial forests lose to storms is equivalent to the annual amount of timber felled in Poland. …Researchers use various modelling techniques to help forest managers predict which trees are at risk of damage, but none are sufficiently accurate. Artificial intelligence has the potential to make a big difference, however. We have built a system that we believe points the way towards protecting the forestry industry more effectively in future. …We have been able to show that computers can use machine learning to devise a model that can predict damage to individual trees very accurately. Sicamous is looking into using wood waste to heat buildings and maybe even generate electricity. At their meeting on April 11, the Sicamous council adopted a bioenergy opportunity report and directed district staff to look into federal funding through the clean energy for remote and rural communities program. …Wood heating pellets and other sources would be an affordable fuel source that the report says are plentiful in the area due to the active forestry operations in the region. Three bulk suppliers of heating pellets located within 100 kilometres of Sicamous are identified in the report: Tolko Industry Ltd. in Kamloops, Pinnacle Pellet’s Armstrong facility and the Adams Lake sawmill. …The district will seek funding for a biomass project through the clean energy for rural and remote communities program. Yesterday, the Environmental Protection Agency announced that it would begin to count the burning of “forest biomass”—a.k.a. wood—as carbon neutral. The change will classify burning of wood pellets a renewable energy similar to solar or wind power. In his statement, EPA administrator Scott Pruitt claims the change is a win for sustainable energy and the forestry industry. 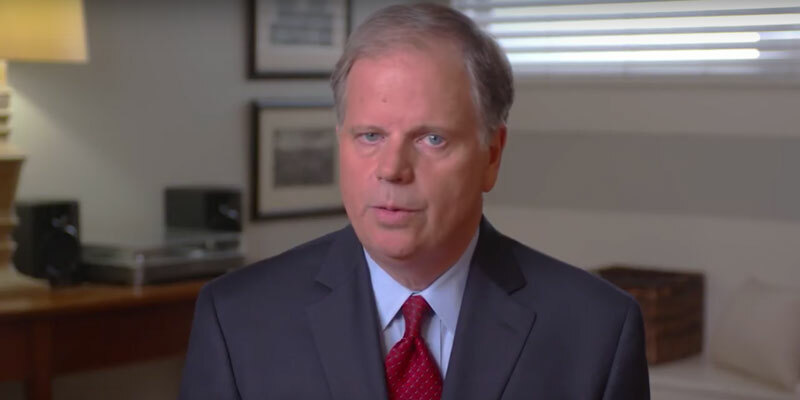 “Today’s announcement grants America’s foresters much-needed certainty and clarity with respect to the carbon neutrality of forest biomass,” he says. …The problem is, as Chris Mooney and Dino Grandoni point out at The Washington Post, the carbon-neutral status of wood is fraught. While some researchers argue that using biomass as fuel passes the emissions test, others argue that it will only exacerbate climate change. Have you ever had a loved one killed or maimed on the job? What about a co-worker or someone you knew? 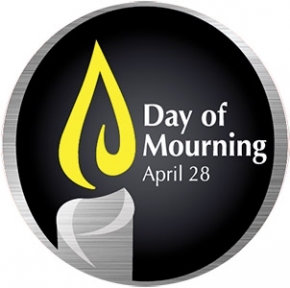 …This April 28th – National Day of Mourning – it’s worth remembering that every day in Canada and other countries, thousands of employees go to work expecting to return home safely to their families. But the reality is that too many workers will never return to their loved ones, and multiple others’ lives will be changed forever, maimed by inexplicable unsafe workplace incidents that, for the most part, could have been prevented. …Each worker death has a profound impact on the loved ones, families, friends and co-workers they leave behind, changing all of their lives forever. So on April 28 when you go to work or drive down the street and see the flags at half-mast, take a moment to remember those who have lost their lives on the job.